The US Food and Drug Administration (FDA) outlined new draft guidelines, suggesting how it intends to regulate mobile medical applications. The FDA announced that it seeks public input on the proposed approach for certain medicine and health mobile applications. The agency said that currently, mobile medical apps include a variety of functions, ranging from monitoring calorie intake, helping people maintain a healthy weight, and allowing doctors to view a patient’s radiology images on their mobile communications device. "The use of mobile medical apps on smart phones and tablets is revolutionizing health care delivery," said Jeffrey Shuren, M.D., J.D., director of the FDA’s Center for Devices and Radiological Health. "Our draft approach calls for oversight of only those mobile medical apps that present the greatest risk to patients when they don’t work as intended." 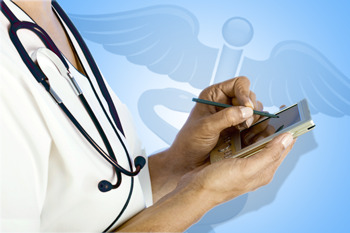 We at Aerotel welcome FDA regulation of mobile medical apps. We believe that there is a real need to assure the stability, reliability and quality of all mHealth solutions so patients won't face any risk.